Those are crows, not little tweety birds. 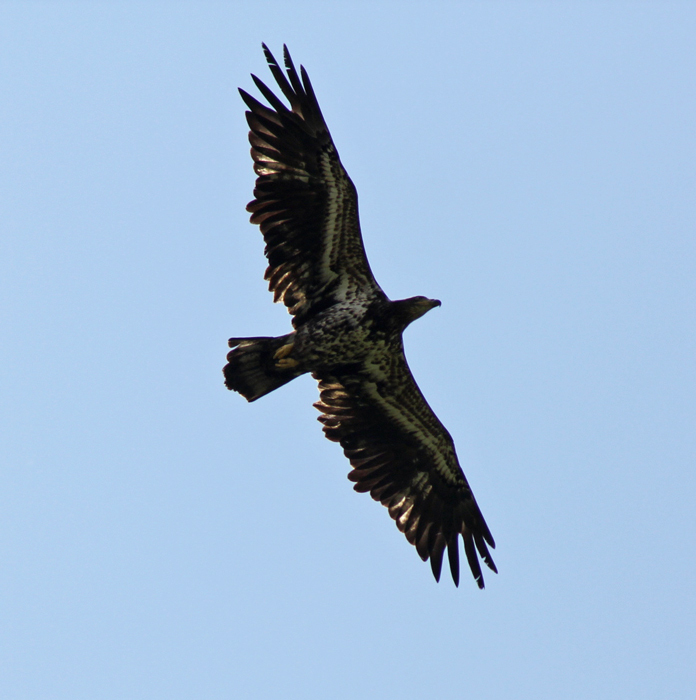 My husband confirmed my thoughts that it was a Golden Eagle. 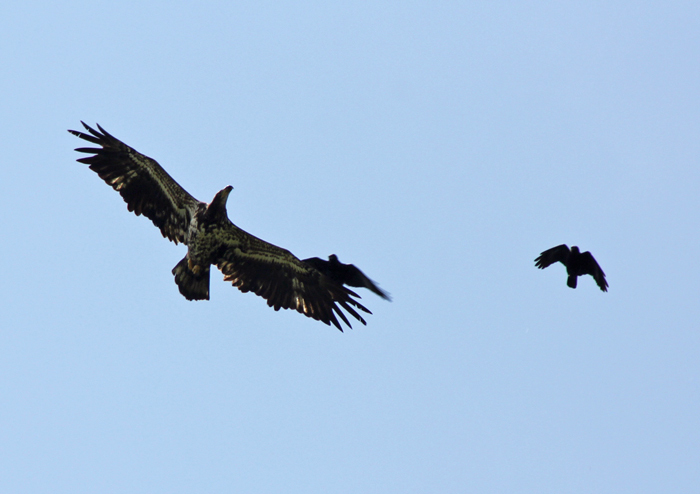 It was amazing to watch the crows diving and swooping and chasing this big predator away from their territory. 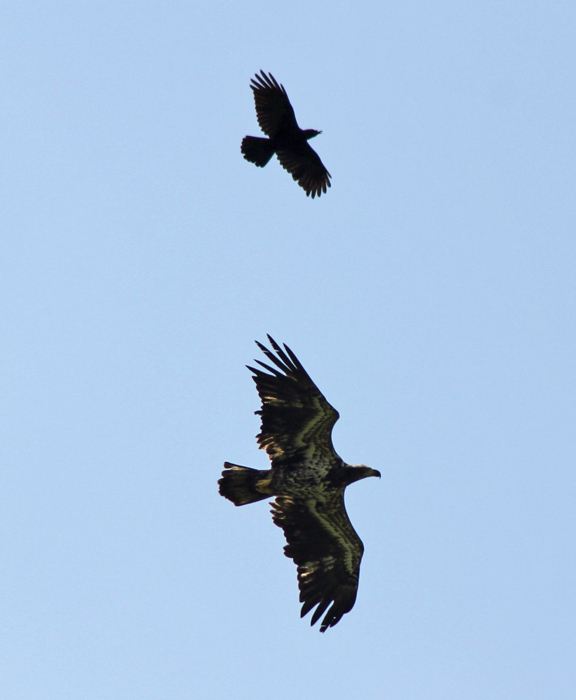 Here is a great picture to see the wingspan and size difference. 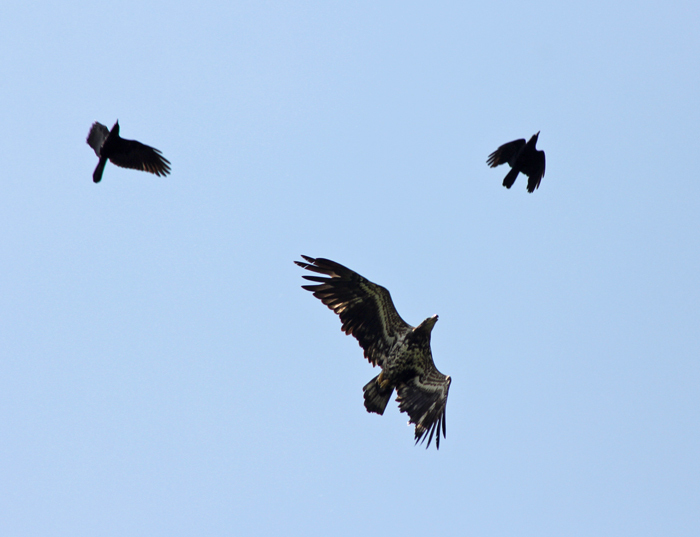 The show was over just as quick as it started and the eagle was headed somewhere a little less harassing! ← My, how they grow! WOW!!! How beautiful the feather patterns are on the underside of that eagle!! Thanks for sharing that gift with us! Maybe for the better that he took off. They’re so amazing, but they sure do love a snack of tender juicy lamb!